1 one page worksheet that explains your body boundaries. There is a sheet for boys and for girls with the only difference being the picture and the words he/she in one paragraph. 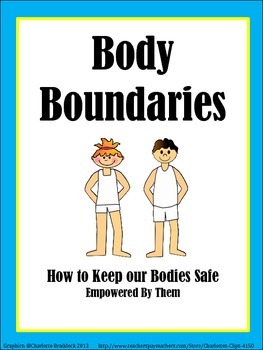 The worksheets talks about what parts of your body are off limits to touch, what is a perpetrator and who they can be. How to deal with threats, who to tell and how to take care of your body.